Benjamin Franklin was born on January 17, 1706, in colonial Boston. His father, Josiah Franklin (1657-1745), a native of England, was a candle and soap maker who married twice and had 17 children. Franklin’s mother was Abiah Folger (1667-1752) of Nantucket, Massachusetts, Josiah’s second wife. Franklin was the eighth of Abiah and Josiah’s 10 offspring. Did you know? 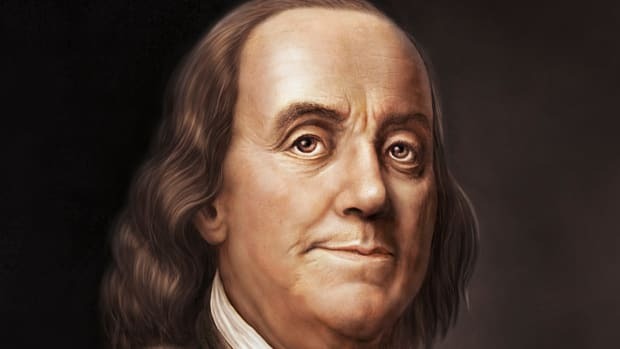 Benjamin Franklin is the only founding father to have signed all four of the key documents establishing the U.S.: the Declaration of Independence (1776), the Treaty of Alliance with France (1778), the Treaty of Paris establishing peace with Great Britain (1783) and the U.S. Constitution (1787). 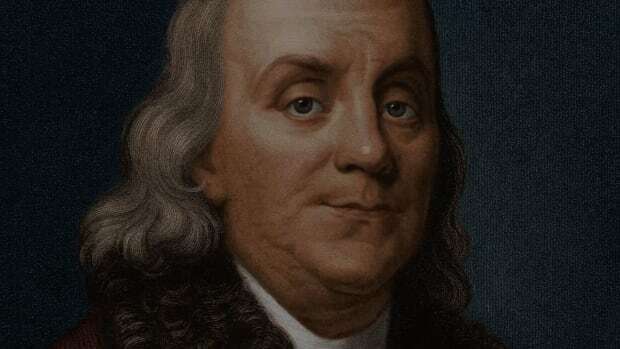 Franklin’s formal education was limited and ended when he was 10; however, he was an avid reader and taught himself to become a skilled writer. In 1718, at age 12, he was apprenticed to his older brother James, a Boston printer. By age 16, Franklin was contributing essays (under the pseudonym Silence Dogood) to a newspaper published by his brother. At age 17, Franklin ran away from his apprenticeship to Philadelphia, where he found work as a printer. In late 1724, he traveled to London, England, and again found employment in the printing business. In 1730, Franklin began living with Deborah Read (c. 1705-74), the daughter of his former Philadelphia landlady, as his common-law wife. Read’s first husband had abandoned her; however, due to bigamy laws, she and Franklin could not have an official wedding ceremony. Franklin and Read had a son, Francis (1732-36), who died of smallpox at age 4, and a daughter, Sarah (1743-1808). Franklin had another son, William (c. 1730-1813), who was born out of wedlock. William Franklin served as the last colonial governor of New Jersey, from 1763 to 1776, and remained loyal to the British during the American Revolution. He died in exile in England. As Franklin’s printing business prospered, he became increasingly involved in civic affairs. 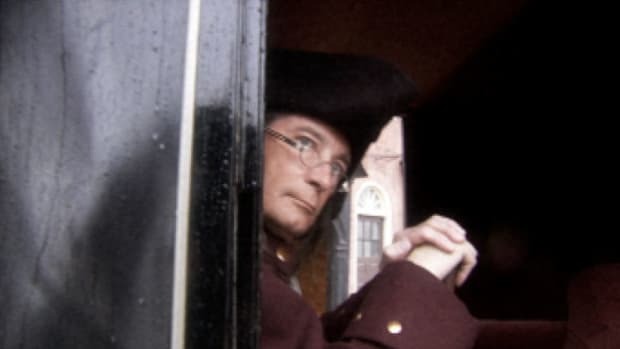 Starting in the 1730s, he helped establish a number of community organizations in Philadelphia, including a lending library (it was founded in 1731, a time when books weren’t widely available in the colonies, and remained the largest U.S. public library until the 1850s), the city’s first fire company, a police patrol and the American Philosophical Society, a group devoted to the sciences and other scholarly pursuits. 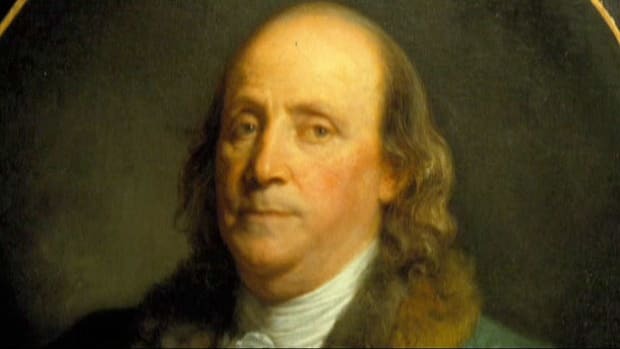 Franklin also organized the Pennsylvania militia, raised funds to build a city hospital and spearheaded a program to pave and light city streets. Additionally, Franklin was instrumental in the creation of the Academy of Philadelphia, a college which opened in 1751 and became known as the University of Pennsylvania in 1791. In 1748, Franklin, then 42 years old, had expanded his printing business throughout the colonies and become successful enough to stop working. Retirement allowed him to concentrate on public service and also pursue more fully his longtime interest in science. In the 1740s, he conducted experiments that contributed to the understanding of electricity, and invented the lightning rod, which protected buildings from fires caused by lightning. In 1752, he conducted his famous kite experiment and demonstrated that lightning is electricity. Franklin also coined a number of electricity-related terms, including battery, charge and conductor. In addition to electricity, Franklin studied a number of other topics, including ocean currents, meteorology, causes of the common cold and refrigeration. He developed the Franklin stove, which provided more heat while using less fuel than other stoves, and bifocal eyeglasses, which allow for distance and reading use. In the early 1760s, Franklin invented a musical instrument called the glass armonica. Composers such as Ludwig Beethoven (1770-1827) and Wolfgang Mozart (1756-91) wrote music for Franklin’s armonica; however, by the early part of the 19th century, the once-popular instrument had largely fallen out of use. In 1757, Franklin traveled to London as a representative of the Pennsylvania Assembly, to which he was elected in 1751. Over several years, he worked to settle a tax dispute and other issues involving descendants of William Penn (1644-1718), the owners of the colony of Pennsylvania. After a brief period back in the U.S., Franklin lived primarily in London until 1775. While he was abroad, the British government began, in the mid-1760s, to impose a series of regulatory measures to assert greater control over its American colonies. In 1766, Franklin testified in the British Parliament against the Stamp Act of 1765, which required that all legal documents, newspapers, books, playing cards and other printed materials in the American colonies carry a tax stamp. Although the Stamp Act was repealed in 1766, additional regulatory measures followed, leading to ever-increasing anti-British sentiment and eventual armed uprising by the American colonists. 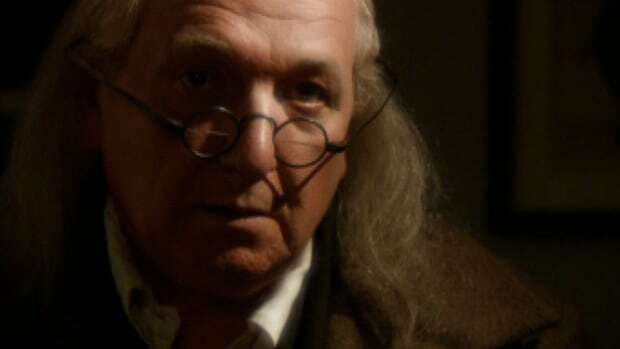 Franklin returned to Philadelphia in May 1775, shortly after the Revolutionary War (1775-83) had begun, and was selected to serve as a delegate to the Second Continental Congress, America’s governing body at the time. In 1776, he was part of the five-member committee that helped draft the Declaration of Independence, in which the 13 American colonies declared their freedom from British rule. That same year, Congress sent Franklin to France to enlist that nation’s help with the Revolutionary War. In February 1778, the French signed a military alliance with America and went on to provide soldiers, supplies and money that proved critical to America’s victory in the war. As minister to France starting in 1778, Franklin helped negotiate and draft the 1783 Treaty of Paris that ended the Revolutionary War. In 1785, Franklin left France and returned once again to Philadelphia. In 1787, he was a Pennsylvania delegate to the Constitutional Convention. (The 81-year-old Franklin was the convention’s oldest delegate.) At the end of the convention, in September 1787, he urged his fellow delegates to support the heavily debated new document. The U.S. Constitution was ratified by the required nine states in June 1788, and George Washington (1732-99) was inaugurated as America’s first president in April 1789. Franklin died a year later, at age 84, on April 17, 1790, in Philadelphia. Following a funeral that was attended by an estimated 20,000 people, he was buried in Philadelphia’s Christ Church cemetery. In his will, he left money to Boston and Philadelphia, which was later used to establish a trade school and a science museum and fund scholarships and other community projects. More than 200 years after his death, Franklin remains one of the most celebrated figures in U.S. history. His image appears on the $100 bill, and towns, schools and businesses across America are named for him.